The Detroit Arsenal Tank Plant built a quarter of the 89,568 tanks produced in the U.S. during WWII. — first manufacturing plant ever built for the mass production of tanks in the United States. The M4, M4A1 - M4A6 Shermans were the most numerous & important American tank of WWII. — the Detroit Arsenal Tank Plant was once the largest in the world. Sub-types of the M4 Sherman Tank indicated standardized production variations. — the sub-types differed mainly in engines. # Pullman Standard Car Co. Widely used in the North African campaign, where it fared well against the German Panzer IIIs. The M3 Lee Medium Tank could penetrate Panzer armor, and its explosive firepower was excellent for dealing with German anti-tank guns. 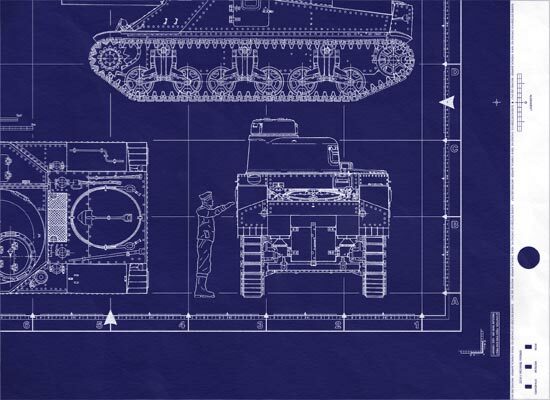 Medium Tank M3 Lee - This is a real blueprint made directly from vellum masters. Delivered to you on a full size master sheet measuring 42"x 30". The blueprint will arrive uncut, edge not slit, or trimmed, and are marked for proper 36"x24" finishing. 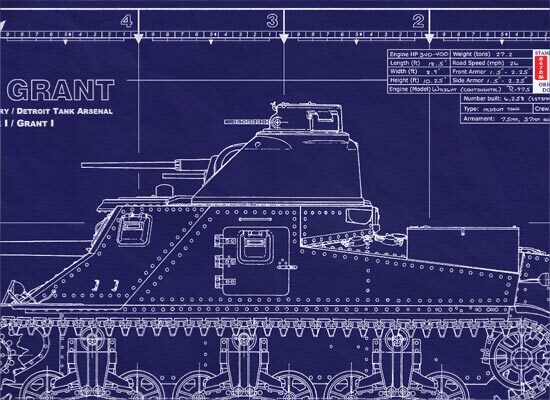 This is a detailed general arrangement plan (standard blueprint cover-sheet) of the WWII U.S. Medium Tank, M3 (M3 Grant, Lee). 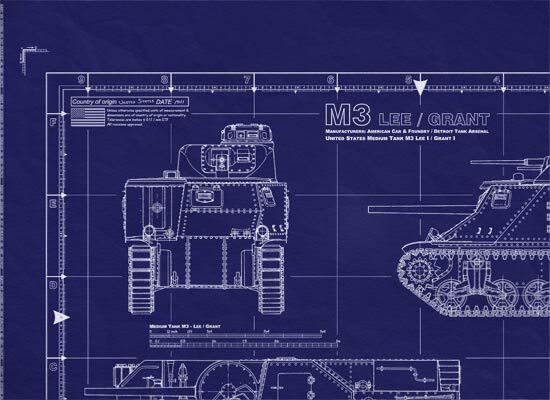 This highly successful ‘stop-gap’ M3 medium tank was designed in 1941… The speed with which the M3 Grant and Lee was designed, developed, and put into production was probably unmatched in the history of armored fighting vehicles. The blueprint will arrive uncut, edge not slit, or trimmed, and are marked for proper 36"x24" finishing. 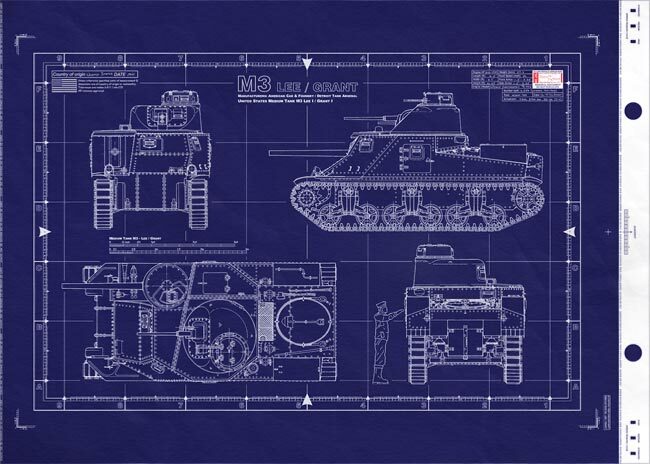 This is a detailed general arrangement plan ( standard blueprint cover-sheet ) of the WWII U.S. Medium Tank, M3 (M3 Grant, Lee).